In comments to the Kop On podcast, James Pearce has offered sobering insights into our main transfer rumour targets – the Echo journalist has lived up to his reputation as the voice of rationality. This, unfortunately, means that a lot of the transfer rumours we would like to see happen have been brought crashing back to Earth. One player a lot of Reds fans want at Anfield, Matthijs de Ligt, is however on the club’s radar. So, while we obviously want to go after him and partner him with his Dutch compatriot Virgil van Dijk, it remains merely a desire for the moment. But it’s not all doom and gloom. Pearce is claiming that Liverpool are at least thinking about the possibility of signing De Ligt, it’s just that there’s no tangible prospect of putting a deal in place yet. We’ve seen with Michael Edwards how sophisticated and streamlined our new transfer policy is – the Fabinho deal came out of absolutely nowhere and Alisson’s arrival was another coup. Liverpool’s hopes of signing Ajax defender Matthijs De Ligt appear to be over with the Dutchman closing in on a move to Barcelona. 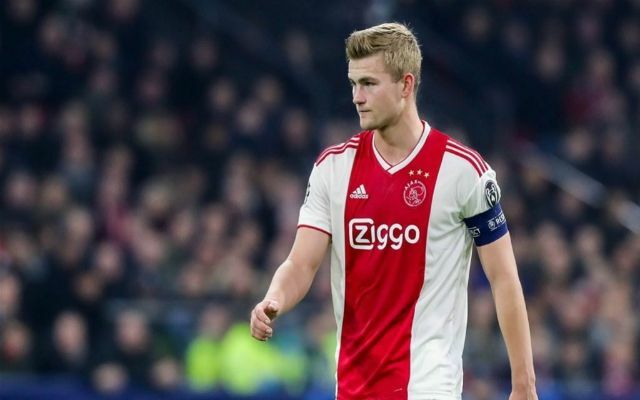 The only sticking point would be whether De Ligt would actually want to come to Liverpool given the options that would be available to him. With his mate and Ajax colleague Frenkie de Jong heading off to Barçelona De Ligt its quite likely that he could seek to join up with him at the Camp Nou. At the moment, everything remains in the realm of conjecture (as it always does with transfer rumours), so Pearce’s thoughts are probably the best we’ve got at the moment.